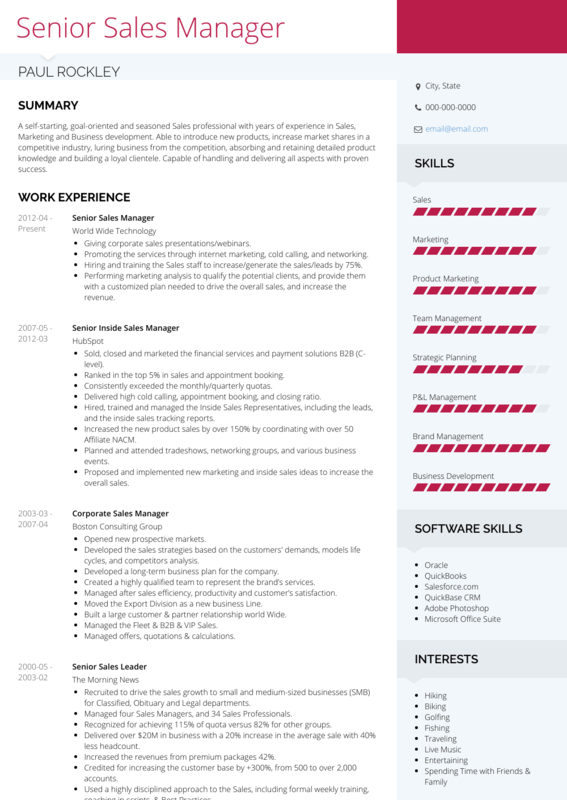 This page provides you with Senior Sales Manager resume samples that you can use for inspiration in writing your own resume, or for creating one through our easy-to-use resume builder. Below you'll find our how-to section that will guide you through each section of a Senior sales manager resume. Profoundly able to successfully multi-task with completing priorities .